This new system, patented by Toppy Srl, is not only a way to move, handle and stack your loads. This genial idea will let companies reduce their packaging and transport expenses, and respect nature at the same time. 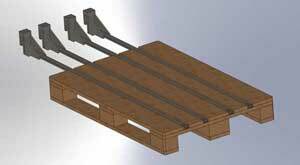 Thanks to Toppy Palletless System, the traditional wooden pallet will be replaced by a new and revolutionary plastic pallet. Such plastic pallet is very light (only 1,2 Kg) and ecological, because recyclable. 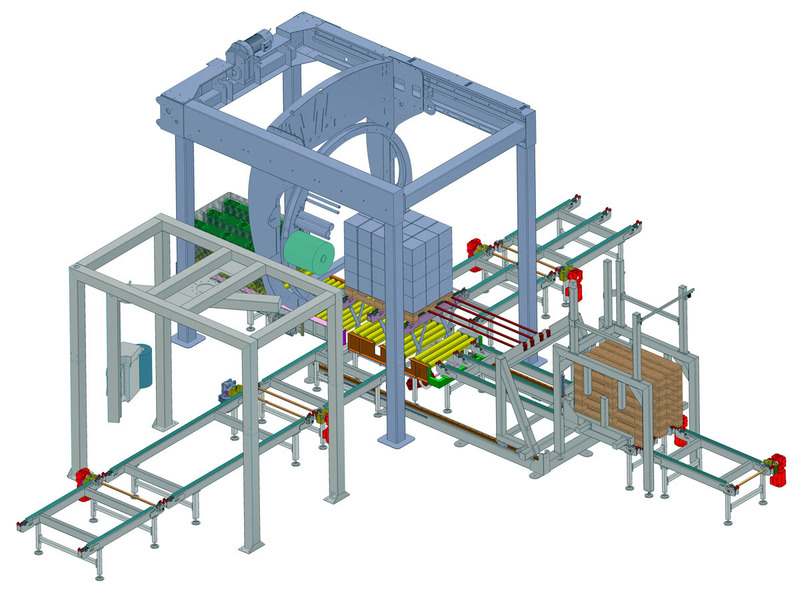 The process is started by placing the load onto a traditional wrapping machine that will apply a plastic film onto the four sides of the load. The new Toppy Palletless System makes use of the working principles of Toppy Four Fingers. The special swords of Toppy Four Fingers are inserted through the europallet open slots, while two rubber-covered side plates gently close onto the load in order to help support it. 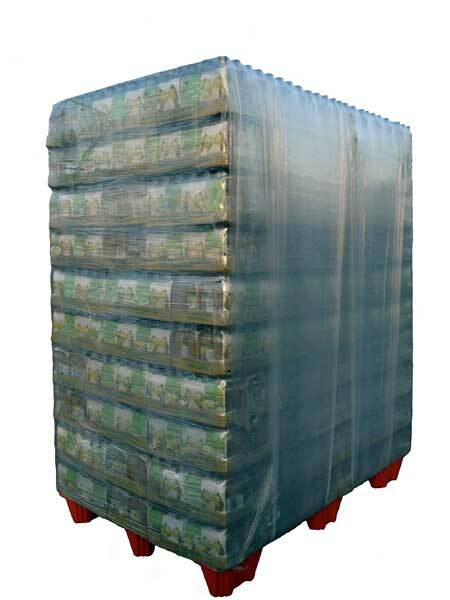 The system removes the pallet from below and replaces it with the special and economical pallet, made of recycled plastic. While suspended the load is wrapped again, but in a different way: this second wrapping is horizontal, given by an “orbital” movement. The load will be therefore totally wrapped on its six sides, more stable and well protected by any external agent (like in a cocoon!). The plastic supports are then fixed to the load by just applying an additional film wrapping. Thanks to the reduced operating costs, The Toppy Palletless System stands out on the market as a very competitive solution: the low price of the plastic supports does not force the companies to get it back or hire it, in order to gain the covered costs. The Toppy ecological pallet is particularly suitable to the export because it doesn’t need certifications, nor fumigation. In this way, it is possible to avoid also the inconvenience due to the disposal of the poisoned wooden pallets. Established in Bologna in 1978, TOPPY S.r.l. began as a producer of machines and trucks for the graphic industry. Since then, whenever a good application was found, other machines were added to the Toppy range. Constant growth in technology and output has enabled Toppy range, significantly in the pharmaceutical, food, cosmetic and ceramic fields.